Looking for wooded land for your dream home? 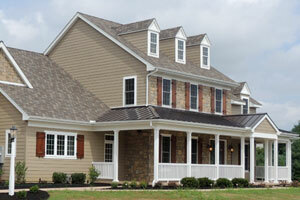 Hilldale Estates is a new private development ready for new homes now! Choose from plots ranging from 3 to 12 acres, bordering Martic Park and the PA State Gamelands in picturesque Martic Township, PA.
You've waited a long time to build the home of your dreams -- a home that truly reflects your passions. You've poured over home designs, talked with architects and chosen the perfect piece of land. To make your dream home a reality, you need a home builder who cares about the details and understands your project from start to finish. At CNA Construction we specialize in building dream homes. Homes that are carefully designed down to the last detail. 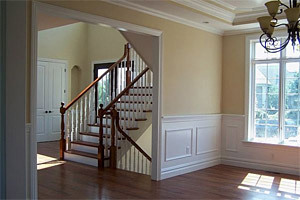 Homes that stand the test of time, built with the best materials by experienced contractors that go the extra mile. Homes that are a true reflection of your vision and built with realistic timelines and extraordinary workmanship. If you're ready to make your dream home a reality, CNA Construction is the only name you need to know! Contact us today to get started on your home or find out more about our unique approach to home building! © 2019, CNA Construction. All Rights Reserved. This site's website design and hosting provided by EZMarketing.